Last night we finally threw open the doors on the Facebook “Gallery of Groups” exhibition. Taking place at Coin Street Gallery (in the Oxo Tower), the show is one that celebrates the myriad of Facebook Groups (there are 29 million worldwide) that have been created on the social network by like-minded people who have found each other there. The event is the culmination of three months of hard work from the team bringing it together. But it all worked in the end. We’ve opened the doors on a show which has areas dedicated to Groups as diverse as Very Old Skaters, UK Quidditch, London Lowriders, Panini Collectors and Rock Painters. Each is a group of people who have some (often) niche passions and would be hard-pressed to find anyone in their social circle to share that passion with. However, the beauty of Facebook is that there need be only one person in your time who shares your passion, there will be many more in far-flung corners of the world. As part of the exhibition content, we worked with three of the Groups – Very Old Skaters, UK Quidditch and London Lowriders – to create films that tell the story of the Group and its members – as well as the fundamental role that Facebook has played in bringing them together. If you’re up for some great short films, take a look at them below. Meantime, we’ve been nailing coverage left, right and centre. For example, this beautiful piece about the London Lowriders. 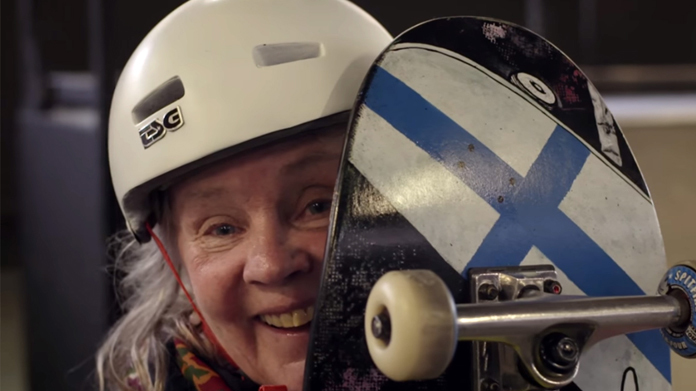 Or this amazing piece about the Very Old Skateboarders (incidentally, the TimeOut film on Facebook itself clocked up 4 million views and over 64,000 shares, which is not bad in our judgement). In fact, the skateboarders proved a huge hit and you might have caught them on BBC London News or shortly in The Times, the Daily Telegraph and Hype Beast. Meantime, the London Lowriders are soon to appear in The Times, AP and the Evening Standard. It’s fair to say this has been one of our most ambitious projects so far this year. A combination of awesome, digital-first content and film making, a live exhibition experience for hundreds to see and some first class media relations and publicity skills all brought together for one campaign. We think that if you wanted evidence of what a modern, creative agency can do these days given a big enough canvas, this is it. We’re really rather proud of it.